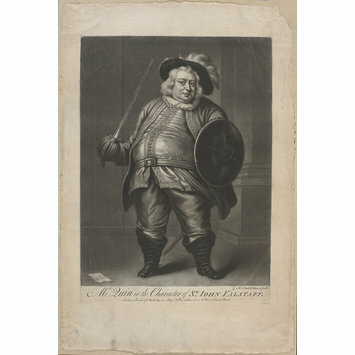 Mr James Quin as Sir John Falstaff in The Merry Wives of Windsor. Published in London by Robert Sayer. 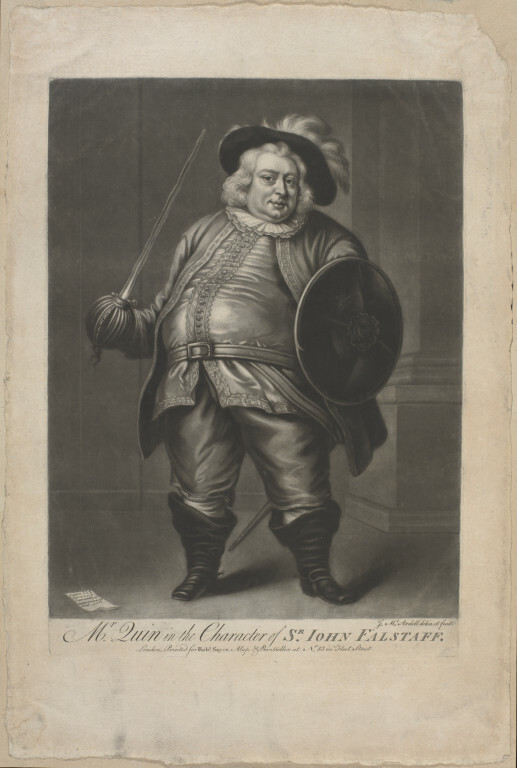 Mezzotint full-length portrait of Mr James Quin as Sir John Falstaff in The Merry Wives of Windsor. Mr James Quin as Sir John Falstaff in The Merry Wives of Windsor. Published in London by Robert Sayer, 18th c. Harry Beard Collection.